A getaway to the Great Smoky Mountains becomes complete when you stay in a cabin near Ober Gatlinburg. There are many benefits to staying in a cabin instead of a hotel. You can come in, sit right down and make yourself at home. 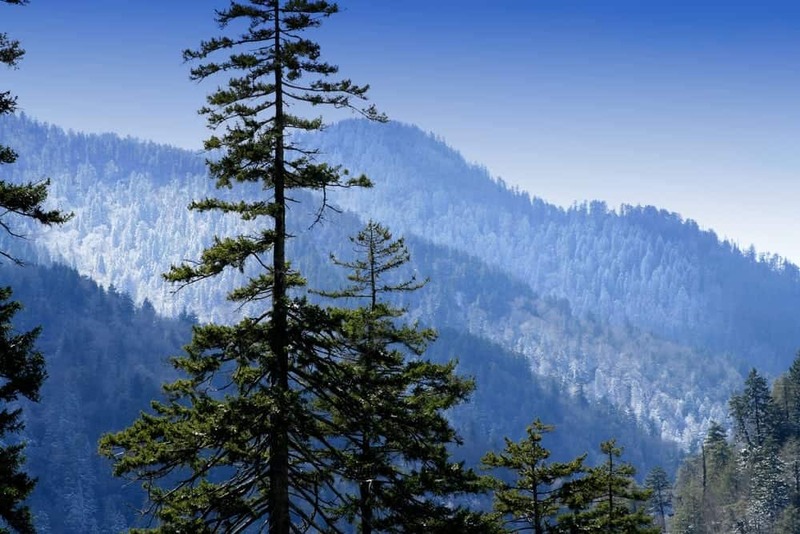 Separate sleeping areas and views of the beautiful vistas of the Smokies will give you and your family a comfortable place to retreat after enjoying all of the things to do at Ober Gatlinburg Ski Resort. You can hide away from the city lights and enjoy the blissful quietness of the mountain evenings sitting around the campfire while recounting the day. Or, you can relax in your hot tub, while enjoying the twilight as it plays over the mountains. Cabins are available for all groups, and they are perfect for the honeymooner or the large family gathering. Rent two cabins or more and have a family reunion while giving everyone their own personal space. A day at the ski resort in Gatlinburg, Dollywood or Ripley’s Aquarium of the Smokies are within easy driving distance of your cabin in Gatlinburg. Cabins are available with mountain; river or creekside views. From the porch of your cabin near the Ober Gatlinburg Ski Resort, you can experience the closeness to the soothing sounds of Mother Nature. Enjoy watching the deer roam the property as you sip your morning beverage, the sun coming up over the mountains, shining on a new day the fresh mountain aroma hanging in the air. Come in the winter and see the snow lying over the mountains of Tennessee. In the spring, the flowers are in bloom displaying their glory. The summers offer you the chance take a kayak or tube down one of the many rivers of the area. The beauty of fall shows off the colors of seasonal change. So, any time is the right time to visit the Smokies. With fully equipped kitchens, you can whip up one of your delights or you can venture out to one of the many area restaurants. From classic barbeque to Southern fried chicken, there’s so many options in the Smokies.Finding a dining option is no problem in Gatlinburg and the surrounding areas of the Smokies. The Ober Gatlinburg Ski Resort will test your skill on the slopes whether you are a skier or snowboarder; lessons are available for the beginners who want to learn a few new techniques. Equipment rental and group rates make it affordable. A trip to downtown Gatlinburg where miles of shops offer you treasures of fine crafts made by local artisans. Find a souvenir from the many shops that will remind you of your vacation, then take a ride up the Gatlinburg Sky Lift to see the wonders of the mountains from a different perspective. It’s your vacation and we think you should spend it relaxing in a cabin in Gatlinburg. At Aunt Bug’s Cabin Rentals, you can experience the beauty of the Smoky Mountains from a gorgeous cabin in the woods. Fully equipped with many great amenities available, like game rooms and home theaters, your cabin can be everything you dreamed about for your Gatlinburg vacation.